Bus Mitra Service: KSRTC has launched Bus Mitra service to provide first aid and take victims to the hospital. Bus Mitra was launched by Transport Minister H M Revanna on Friday at a program organized by the Central Division Unit 4 at Shanthi Nagar, next to KSRTC Head Office, reported Kannada Prabha. Speaking on the occasion the Minister said from the Commuters Accident Relief Fund Trust established in 2002, 45 Bolero vehicles have been purchased with a budget of Rs 3.52 crores to launch Bus Mitra. All 16 divisions will be allotted 2 to 4 vehicles. These vehicles will rush to provide first aid and take the accident victims to the hospital within the corporation limits. The staff of Bus Mitra Service has been trained in providing first aid by Golden Hour Trust and Red Cross. The vehicles will be on call during accidents and at other times they will be engaged in ticket checking in their respective routes. The distribution of vehicles is: Central VigilenceSquad 5, Shimoga 4, Bengaluru Central, Chamarajanagara, Puttoor, Chikkamagaluru and Mysuru Rural will get the 3 vehicles each, Ramanagara, Hasana, Tumakuru, Kolara, Mangaluru, Chikkaballapura, Mysuru city, Davanagere, Mandya division, and Kempe Gowda bus stand will be allotted 2 each. At the Accident Relief unit, one vehicle will serve. 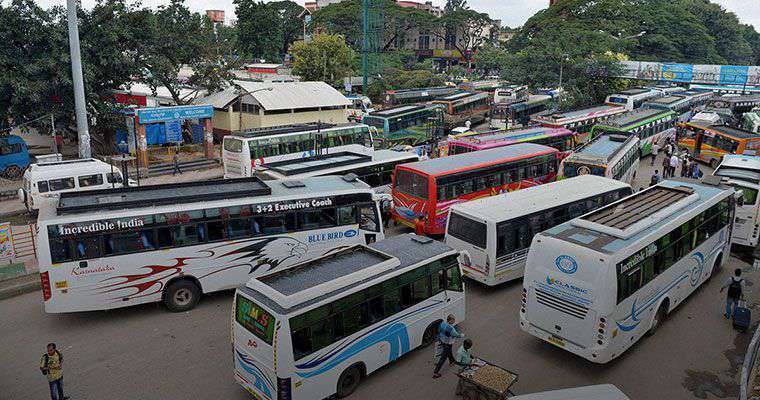 The KSRTC plies 8,489 buses daily, traveling 28.46 lakh km, in which a total of 27.28 lakh commuters travel. In the last three years, 91 deaths have been reported and 4,365 are injured due to accidents involving KSRTC buses. A total of Rs 2.24 crore compensation has been paid and Rs 6.54 crore has been given for treatment.